Tjorsa - Iceland's longest river - it is a glacial river and its source is the Hofsjökull glacier, Iceland. 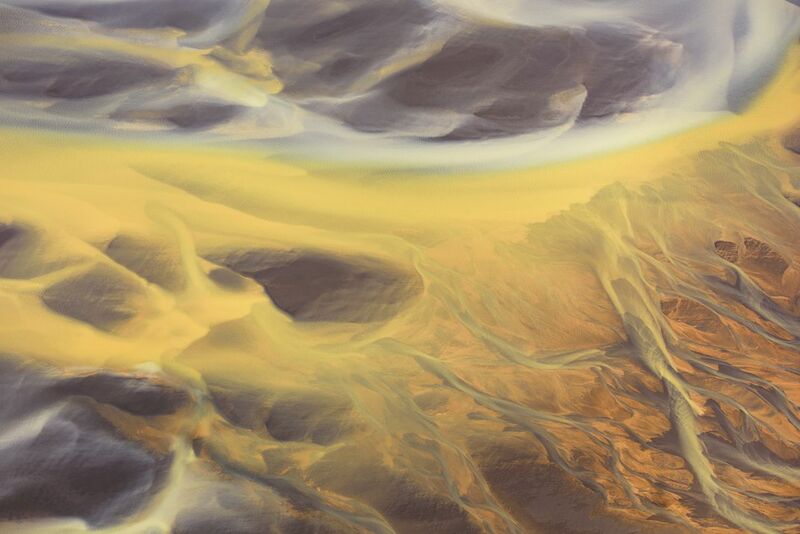 The colors and patterns are created by glacial melt flowing through volcanic silt. Aerial image (photographed from a plane at 1,000 feet). Date Uploaded: April 7, 2018, 7:31 p.m.